This is happening very, very fast and will only grow much worse as temperatures continue to soar. 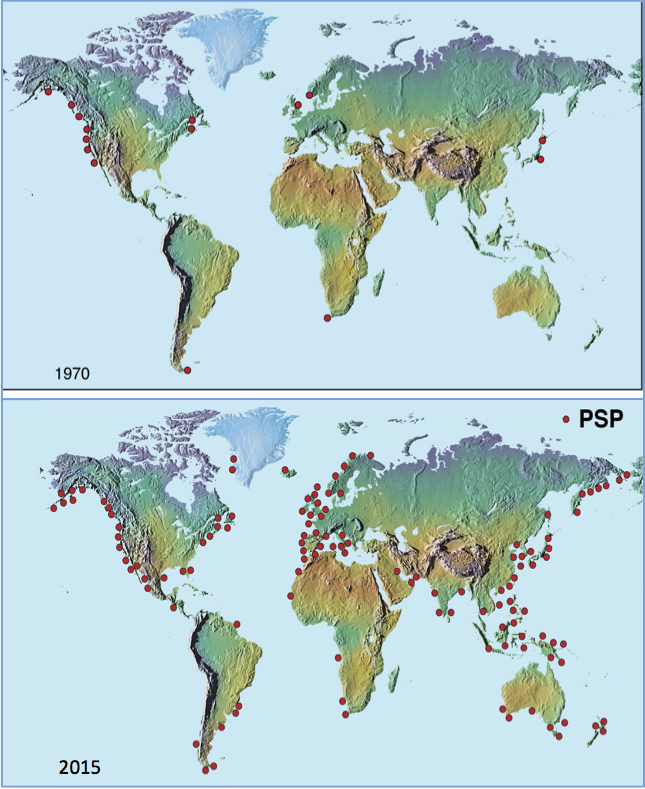 Several decades ago relatively few countries appeared to be affected by HABs, but now most coastal countries are threatened, in many cases over large geographic areas and by more than one harmful or toxic species. Many countries are faced with a bewildering array of toxic or harmful species and impacts, as well as disturbing trends of increasing bloom incidence, larger areas affected, more fisheries resources impacted, and higher economic losses. 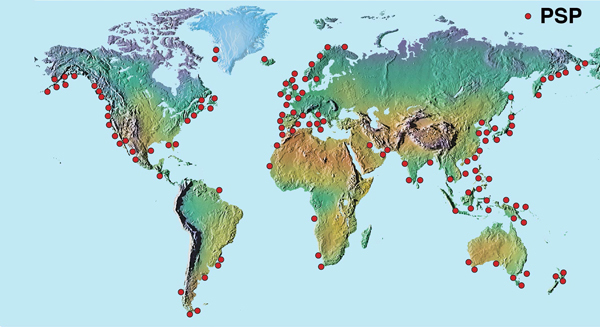 The causes behind this expansion are debated, with possible explanations ranging from natural mechanisms of species dispersal to a host of human-related phenomena such as pollution, climatic shifts, increased numbers of observers, and transport of algal species via ship ballast water. Global distribution of PSP toxins recorded as of 2014. Click to compare to 1972. Whatever the mechanisms, coastal regions throughout the world are now subject to an unprecedented variety and frequency of HAB events. The global expansion of HAB phenomena is in part a reflection of our ability to better define the boundaries of the problem – the nature and extent of toxic or harmful species and their impacts. However, the fact that part of the expansion is attributable to increased scientific awareness and detection capabilities should not temper our concern. The involvement of human activities in the HAB expansion suggests that policy decisions leading to bloom mitigation are needed at several levels, but sound scientific evidence is needed to justify these actions. Studies of human influences are ongoing in many areas, but are in their early stages of investigation. 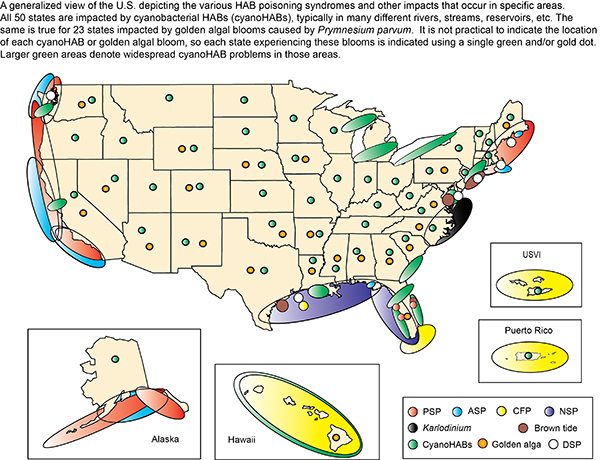 Distribution of HABs in the U.S.
Coastal waters of the United States are subject to most of the major HAB poisoning syndromes and impacts. 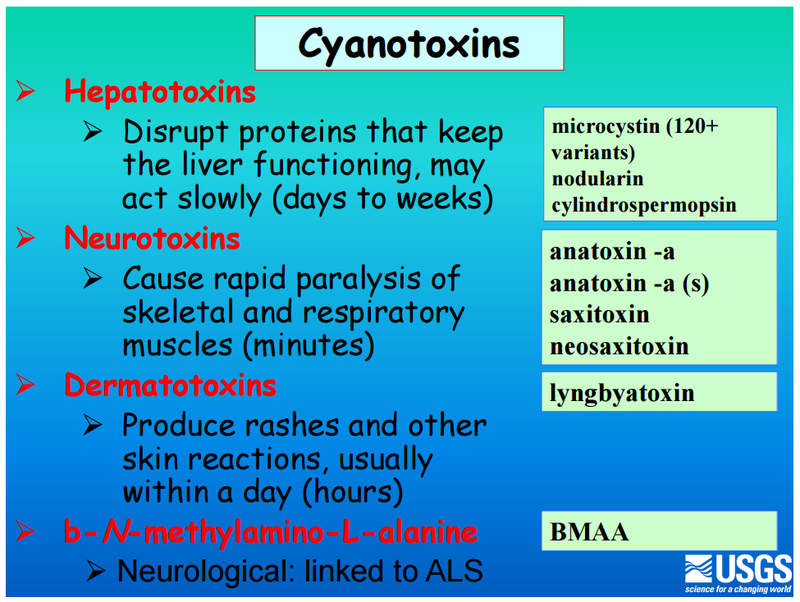 These include paralytic shellfish poisoning (PSP), neurotoxic shellfish poisoning (NSP), amnesic shellfish poisoning (ASP), ciguatera fish poisoning (CFP), brown tides (BT), cyanoHABs and a number of other HAB phenomena such as fish kills, loss of submerged vegetation, shellfish mortalities, and widespread marine mammal mortalities. A thesis written by Elizabeth Kathleen McCraven (University of New Orleans) Electro-Disinfection of Ballast Water, can be found on the web, it states that it is known that mosquito larvae is in ballast water. Her statements on mosquitos and ballast water are written in plain talk that speaks volumes about the way the ballast water is being looked at in regards to mosquito movement. Ballast systems also carry bacteria, virus and algae. 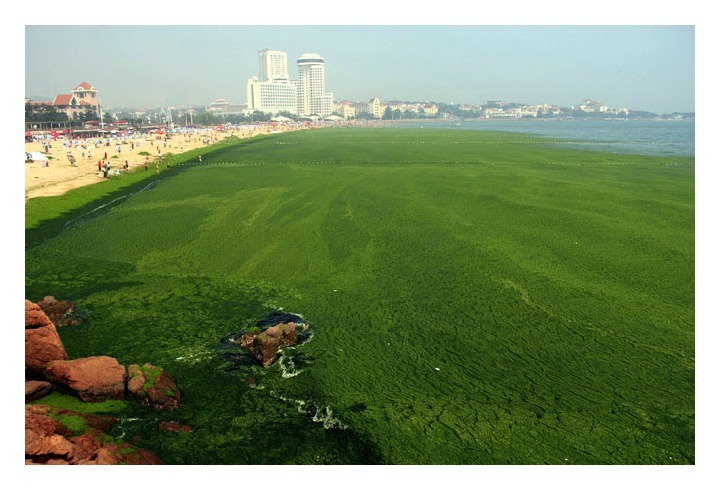 Algae acts as a host for bacteria and virus. Mosquitos feed on algae. Building land based treatment and disposal facilities for all ships would be faster and safer than the current Coast Guard plan to install equipment only on ships. One can only imagine the jobs this would create not to mention revenue.